Yi Wei Fu and De Jia Zou from China wins WCT Latvian Mixed Doubles Curling Cup II – CONGRATULATIONS! 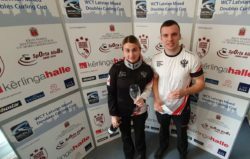 Anastasia Moskaleva and Alexander Eremin from Russia wins WCT Latvian Mixed Doubles Curling Cup – CONGRATULATIONS! 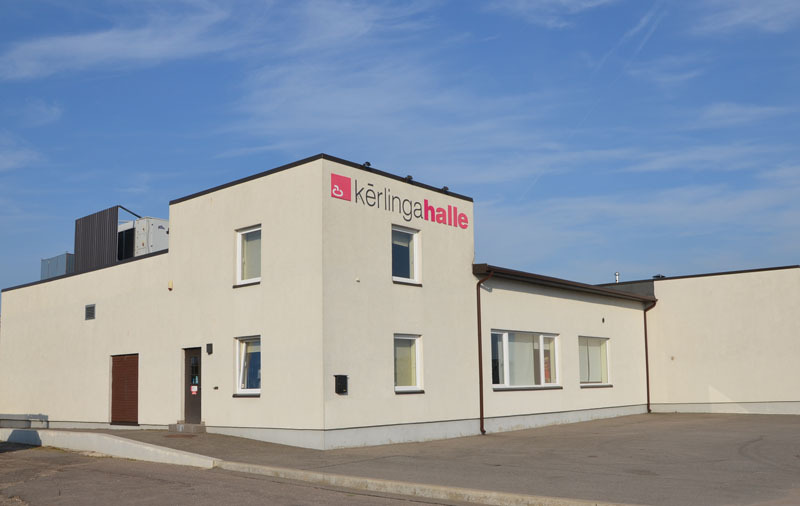 Schedule is confirmed for both Latvian Mixed Doubles Curling Cup events. 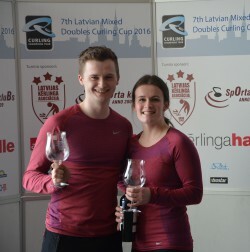 Jayne Stirling and Fraser Kingan from Scotland wins WCT Latvian Mixed Doubles Curling Cup-II – CONGRATULATIONS! 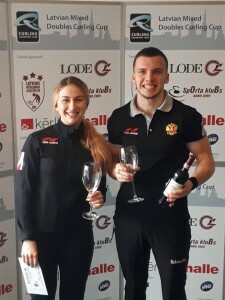 Two tournaments in a row – Anastasia Bryzgalova and Alexander Krushelnitskiy from Russia wins also Latvian Mixed Doubles Curling Cup II ! A.Bryzgalova / A.Krushelnitskiy (RUS 1) reached final undefeated where they played J.Perret / M.Rios (SUI 1). 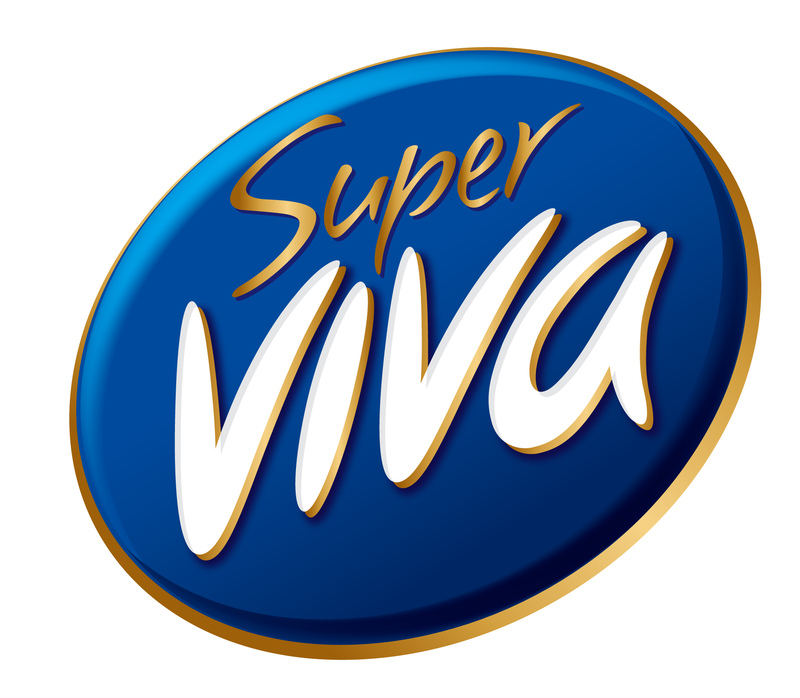 It’s time to say THANK YOU to our sponsors and supporters! Gina Aitken and Bruce Mouat (SCO) wins LMDCC-2! In final game Aitken/Mouat played Bryzgalova/Krushelnitskiy (RUS) who reached final undefeated.These 2 teams had already met in round 3 where Russian team won 7:6. 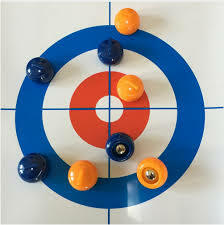 In final scottish pair took early lead and won final in 6 ends with result 8:2! 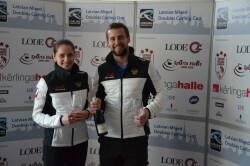 Camilla Noreen/Per Noreen (SWE) wins Latvian Mixed Doubles Curling Cup 1! 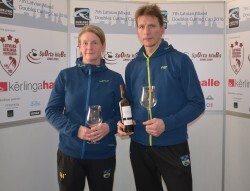 Camilla Noreen/Per Noreen (SWE) wins Latvian Mixed Doubles Curling Cup 1 with 10 points (out of 12). Jenny Perret and Martin Rios (SUI) finishes 2nd (also with 10 pints) and Judith McCleary/Lee McCleary (SCO) finishes third with 9 points. 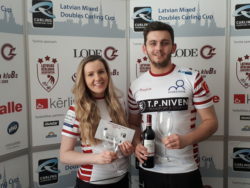 © 2019 WCT Latvian Mixed Doubles Curling Cup. All Rights Reserved.